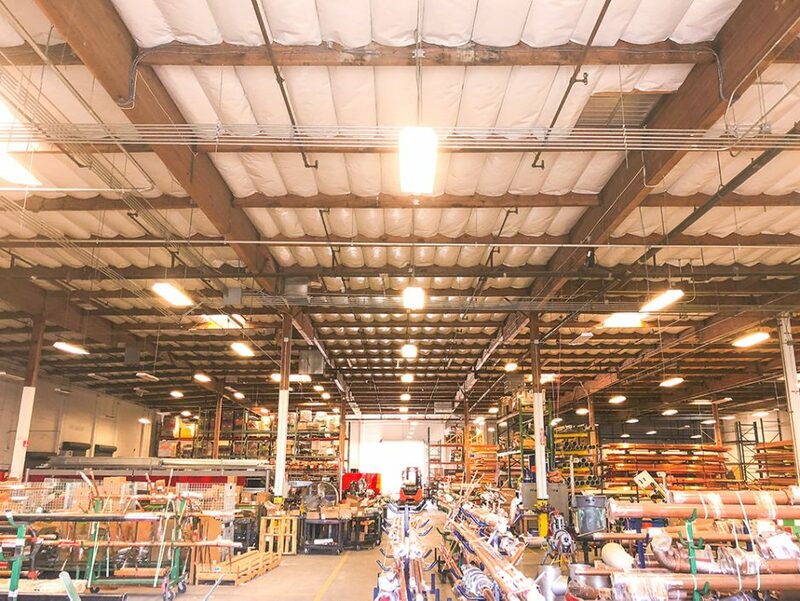 Pan-Pacific now has three fully functional fabrication shops in California. Fabrication allows us to be on the cutting edge of profitability, using our precision designs to cut and assemble materials in our own shop. This allows the designs to be quickly and easily installed in the field contributing to our overall safety, efficiency and profitability. Our Fountain Valley shop is currently being remodeled. Recent additions include a new $75,000 saw, new trash enclosure, flattened loading dock, and tripled carbon steel capacity. The improved shop has 54 guys who turned out 100,000 hours in 2018! This location is currently working on 22 different jobs, but the primary focus is Inglewood Stadium and Loma Linda UMC, which consume about 80% of the shop’s hours. Because of increasing demand, the Southern California branch opened an additional 20,000 square foot shop in February 2018 in Westminster, which employs 12 men and has increased our capacity for cast iron fabrication. The Westminster shop is focused on Inglewood Stadium, Loma Linda, Oceanwide, UCI and Epic Sunset. 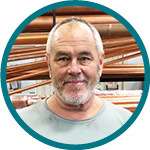 Our Menlo Park fabrication shop has been in business since 2013, and currently employs 31 union plumber/fitters from locals 38 and 467, along with three drivers and two shipping and receiving/tool guys. NorCal’s primary jobs include Chase Arena, Marin General Hospital, Gateway of the Pacific, UCSF Block 33, Sutter MOB, 1640 Broadway and Workday. These fabrication shops contribute significantly to Pan’s ability to complete jobs safely, efficiently, and within budget. Micah Burnam Micah Burnam joined the Pan-Pacific team three years ago, when he was dispatched to Pan from local 582 and currently works in the Fountain Valley Fabrication Shop. His goal is to learn as much as he can while excelling to the highest level he can achieve. 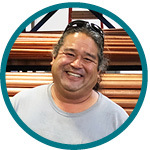 He says, “I’ve met some really good people here at Pan-Pacific and made some great friends. Everyone here has been very helpful to me throughout my journey. It makes me feel proud and lucky to be here every single day. I love the comradery and team atmosphere.” Micah and his girlfriend, Melissa, daughter Alison (17), and stepson Mason (14) live in Fountain Valley. He enjoys music shows, hiking, and hanging out with friends and family. William Schulz William Schulz joined Pan-Pacific 11 years ago after being introduced to Frank Vincent, and Frank ended up giving him a shot. 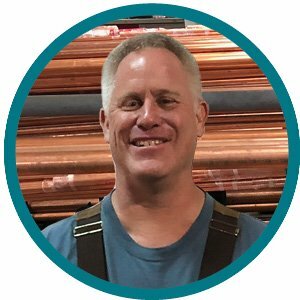 Since then, he has worked on projects like Wilshire Grand, LAX, USC Norris, and Soka University and currently works in the Fountain Valley Fabrication Shop. William loves the family environment at Pan-Pacific, being part of big projects, celebrating holidays, football pools, and being a part of the team. His goal at Pan-Pacific is to do whatever it takes to make the company succeed. Josh Schafnitz Josh Schafnitz (Spud) has worked at Pan-Pacific for 5 years. He learned about the company through his wife, our very own Heather Schafnitz. Josh is currently the Head Receiver in the shop and has contributed to Great Wolf Lodge, USC Dorms and Metropolis. Josh and Heather live in Aliso Viejo. They have been married for 11 years and just had a little girl named January Jade. Josh’s favorite memories at Pan are the Safety Picnics and Christmas Parties. He also appreciates the great people and competitive pay. Miles Allen Miles Allen has been at Pan for four years, and is currently working on various jobs in the Fabrication Shop. He has spent the last 45 years working all over Los Angeles, and appreciates the fair management and good foremen at Pan-Pacific. One of his favorite memories is participating in the recent Heart and Stroke Walk at Angel Stadium. Miles looks forward to retiring with Pan-Pacific. He lives in Huntington Beach and has three grown kids Cory, Katy and Matthew. 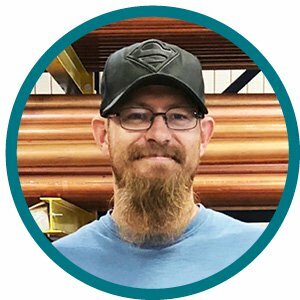 Matthew Long Matthew Long came to Pan-Pacific about five years ago, straight out of his service with the Marine Corps and his time is currently split between working in the Fountain Valley Fabrication Shop and Loma Linda University Medical Center. He loves Pan’s family-like approach with workers, as well as the awesome Christmas parties. 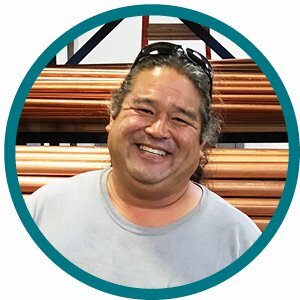 His goal is to continue welding for Pan-Pacific. His favorite memory at Pan is being a part of the Wilshire Grand project, the tallest building on the West Coast. Matthew and his wife, Taren, have been married for three years and live in Yorba Linda. 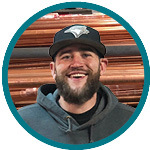 Matthew enjoys shooting firearms, playing video games, hiking and camping. Roger Libasora Roger Libasora has been with Pan-Pacific for 17 years and currently runs our new Westminster Fabrication Shop. He has also contributed to Sunset Millennium, the Walt Disney Concert Hall, Eisenhower Hospital, CHOC, and Kaiser South Bay. 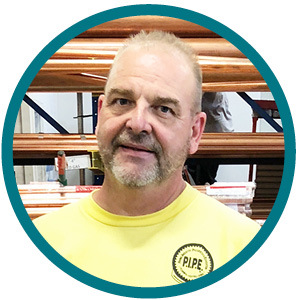 Roger is proud to have watched the company grow over the years, and loves working with the friends he has made along the way. He hopes to continue and finish his career here at Pan-Pacific. Roger and his wife Kim live in Hesperia and enjoy going to Lake Havasu with their granddaughters Kiley (6) and Kalyn (4). Stephen Rondilone Stephen Rondilone first started working for Pan in 2000 and now works in the Westminster Fab Shop. He has also been on the City of Hope, Kaiser Sunset, Huntington Memorial, Huntington Hyatt, and LAX projects. He enjoys being able to tell people that he played a part in great projects like City of Hope, which helps so many people (including his own nephew), as well as the new stadium. He would like to get into Detailing someday and learn more about how projects get started in the office. 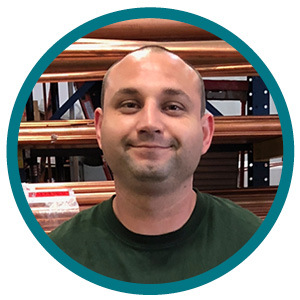 Stephen’s favorite memories at Pan stem from the many people he has met at the company – especially at the picnics and Christmas parties. Stephen and his wife, LeighAnn have been married for 21 years and have two sons, Stephen (20) who loves to play guitar and piano, and Jacob (9), who loves outside sports and music when he’s not playing Fortnight. Stephen enjoys fishing with his boys and studying the Bible. Pete Ramos Pete Ramos has been at Pan-Pacific for the last four years. 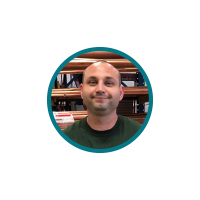 He has worked on Kaiser Mission Bay and UCSF Parnassus, and is currently working in the PreFab Shop with Matt Vincent. His favorite memory with Pan-Pacific was catching a giant salmon on the Foremen fishing trip this year. 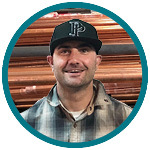 Pete lives in Pacifica and is an avid car enthusiast. He belongs to a local car club where he participates in local car meets with friends. Ryan Benton Ryan Benton has been with Pan-Pacific for two years, when he was hired on as a short call and never left. He works in the NorCal PreFab shop and previously worked on the Facebook project. 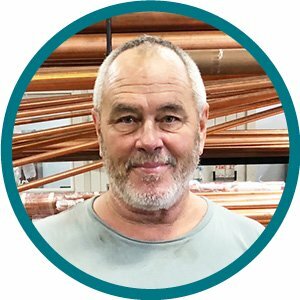 He loves the friendly environment at Pan-Pacific and the fact that they take care of their guys, as well as the great company parties. His goal is to go as far as Pan-Pacific will take him! Ryan lives in Hayward with his wife Norma, and likes traveling, watching football and playing basketball. Steven Galliano Steven Galliano has been with Pan-Pacific for just under three years and was connected with Pan through Local 38. 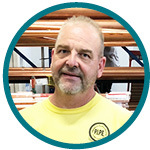 Steven has been doing plumbing for 28 years and now says that Pan-Pacific Mechanical is his #1 favorite company. 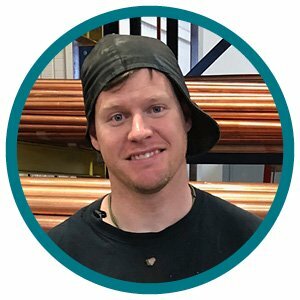 He is currently working in the shop prefabbing all the copper and gas for Chase Arena, Marin General Hospital, Sutter Van Ness, and any emergency red hot rushes that come his way. His career goal is to stay right where he is, doing what he loves. Steven and his wife Annie have been married for 18 years. They live in San Mateo and have a daughter, Shannon (16) and son, Ryan (13). He loves coaching kids in sports (soccer, softball, basketball, and baseball), and teaching them how great they are. 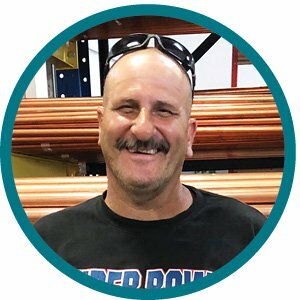 David Pizzorno David Pizzorno was referred to Pan-Pacific Mechanical by a friend three years ago, and has been with us ever since. 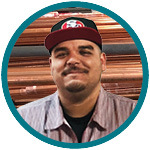 He is currently working on fabrication for Gateway of the Pacific and previously contributed to projects like Apple, Google, Facebook, Salesforce Tower, Transbay Terminal, as well as others. He likes the great people and safe environment at Pan-Pacific. David hopes to run some big jobs in the future and stay at Pan for a long time. He has been married to his wife, Krystle, for four years. They have a three-year-old boy, Luca, and live in San Bruno. 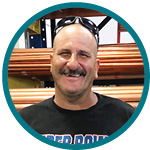 David enjoys motorcycle riding, snowboarding, welding and traveling.